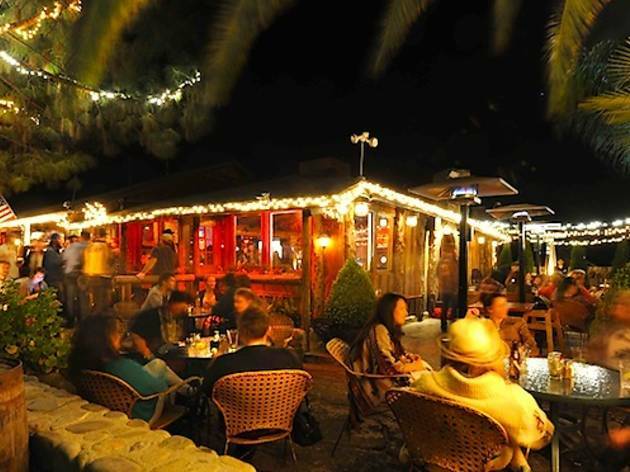 Find the perfect Ojai restaurant or bar for your weekend getaways, from tasty tapas to a live music lodge. 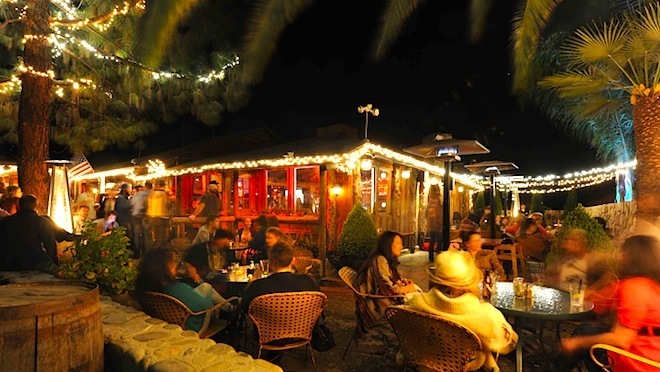 Looking for the best Ojai restaurant or bar for your weekend getaways? 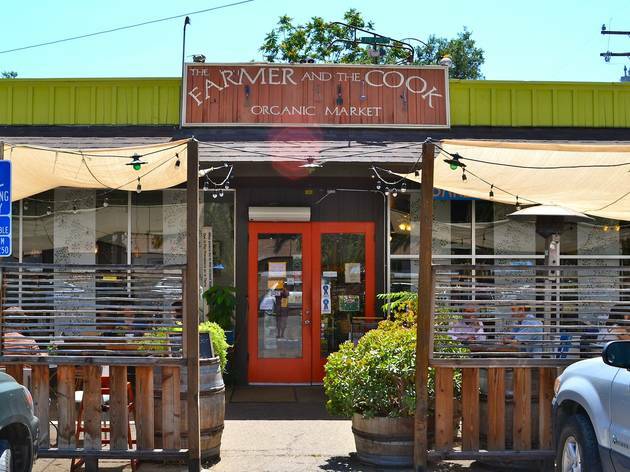 From top-notch tapas to a cozy al fresco bakery, the town has lots to offer. Local, organic food is around every corner, which makes it easy to eat with the season. If you're looking less for healthy options and more for a treat, there's a local ice cream shop that's like stepping into a time warp—and for a drink, the town has some pretty authentic, small-town dive bars. 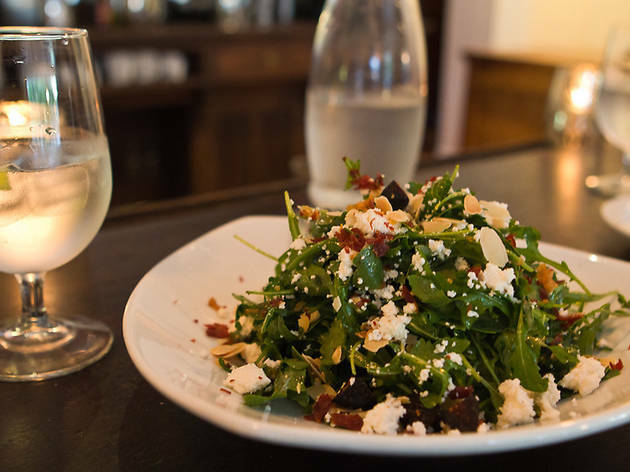 Whether you want brunch, picnic fare or a romantic dinner, read on to see our top picks for where to eat and drink in Ojai. Azu is your best bet for an upscale meal in Ojai—the atmosphere is warm, the service is friendly and the food is consistently good. Order small plates to share (honey baked brie, mussels and Spanish bacon, garlic sauteed prawns) or pick an entree—we recommend the pappardelle or Laurel's Roasted Chicken. The wine list here is extensive and, of course, has offerings from many local vineyards. 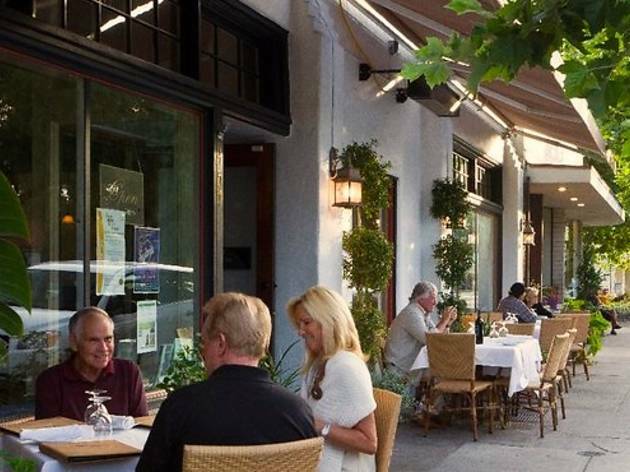 Tip: If it's a warm night, ask for a seat out on the patio—it has all the charm of sidewalk dining without the noisy din of LA street traffic. 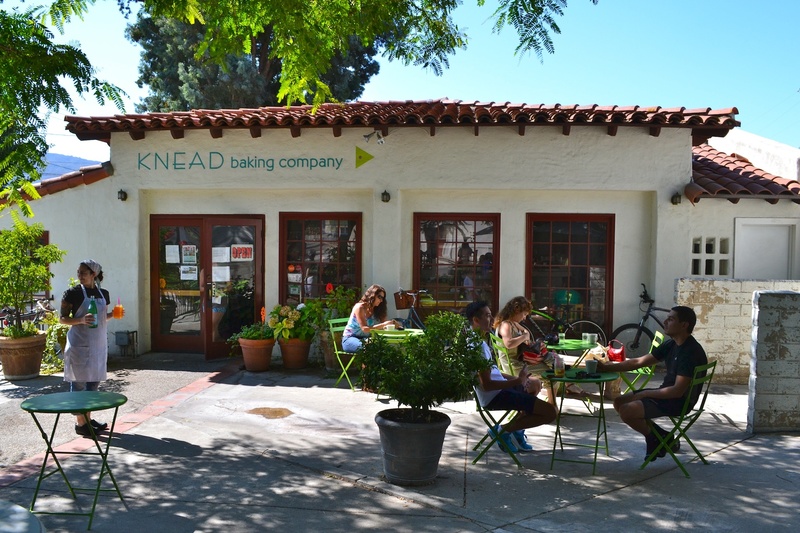 This lovely little market is in the neighborhood of Meiners Oaks, just west of downtown Ojai. Pop in for pre-made sandwiches, a fresh salad bar and an abundance of local produce and picnic-friendly sundries for hotel cooking, hiking or camping (you can also pick up great gifts such as locally made aprons and cute kitchenware). 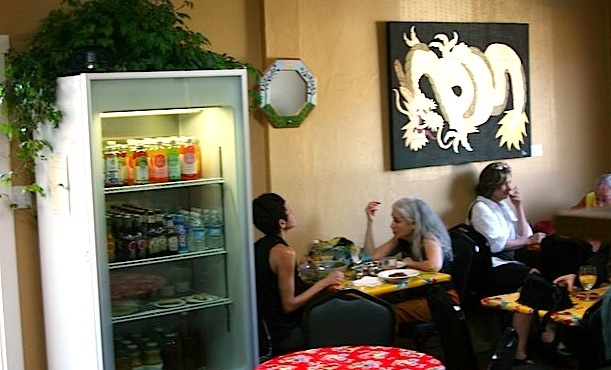 If you have a little more time, order from the menu of eclectic lunch options (we suggest the squash and goat cheese tacos or the handmade sopes), all of which can be made vegan upon request. There are also fresh-squeezed juices, smoothies and an ever-changing list of desserts. 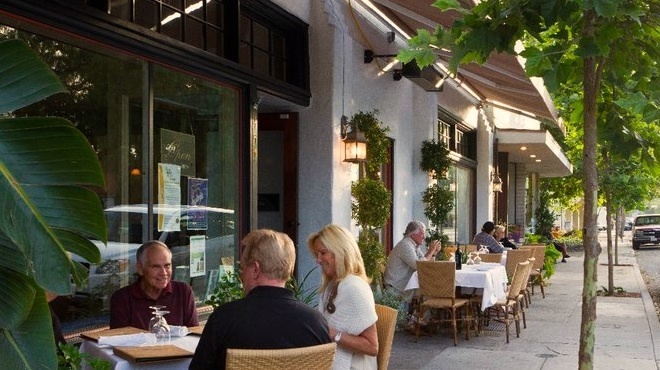 You can find ample seating inside and out, and you're bound to see some colorful Ojai characters come and go while you dine. 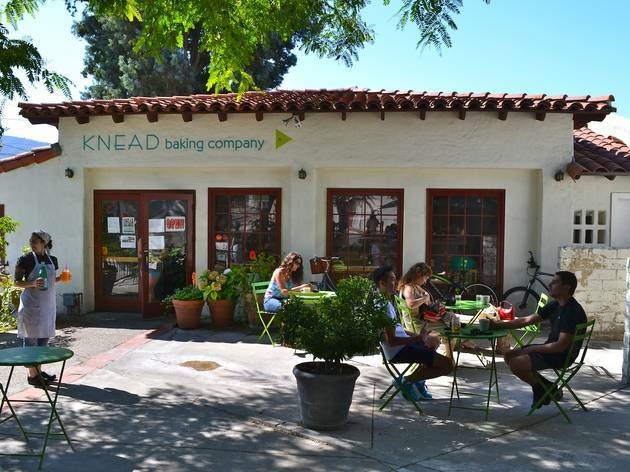 Knead Baking Company offers a tasty selection of baked goods, as well as some of the best breakfast sandwiches we've ever tried. Choose egg, cheese, spinach or arugula and your choice of meat (prosciutto, salami or bacon), then pick your fresh-baked bread. The goods here are easy to take to-go for hikes, picnics or sitting by a pool, though we recommend dining on the shady outdoor patio, which makes for a lovely breakfast spot. The prices are a little high here, but the food is worth it—consider it an early-morning splurge. 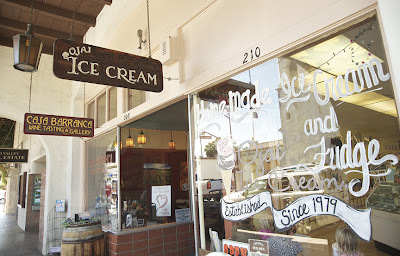 The Deer Lodge has been an Ojai town institution since 1932. Part restaurant, part biker bar, part live music venue, the lodge-like space has a little something for everyone. Stop in for tasty, typical comfort food (think burgers, chili, sweet potato fries) and dine amongst vintage hunting books, tin lanterns and antler chandeliers. 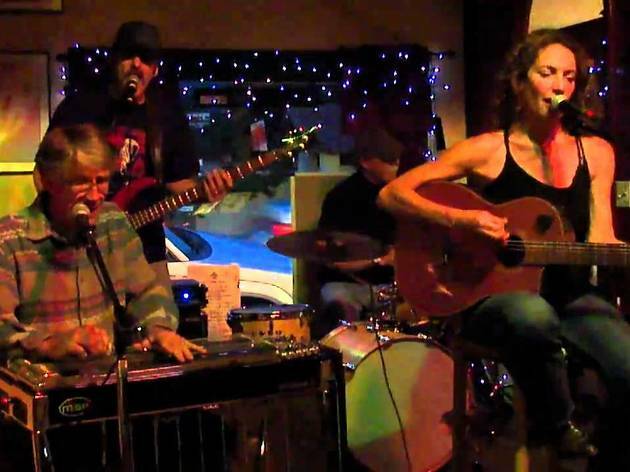 A thick wooden bar seperates the dining room and the "Deer Ole Opry," where local and visiting bands play almost every night of the week—last time we were there, world renowned fiddler Phil Salazar smoked through about four bows like it was no big deal. Outdoor fire pits make a comfy spot for a beer or a smoke—and you can still hear the music from inside. This is the kind of ice cream shoppe worthy of the "shoppe" spelling. The sort of place that just wouldn't (couldn't?) 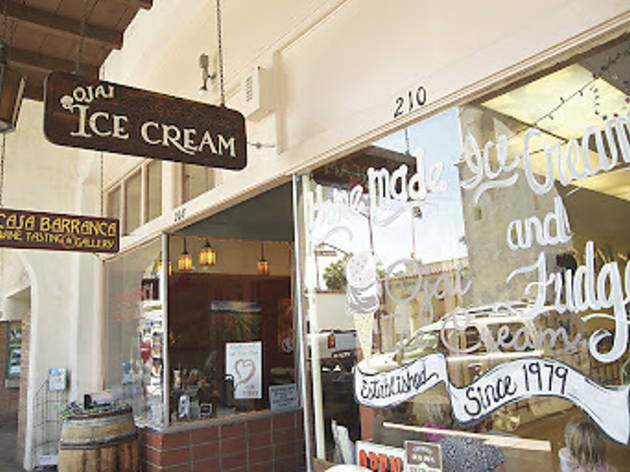 exist in LA—with homemade penny fudge, a wall of bulk candy and adorably-named local flavors such as "Ojai Orange" and "Pink Moment Strawberry," named after the beautiful sunsets that grace Ojai's skies. All the signs are hand-painted, the teenage ice scream scoopers are friendly (if a little awkward), and it smells like sweet, sweet childhood. It's also surprisingly affordable (after all the frozen yogurt and vegan ice cream we shell out for in the city, that is). 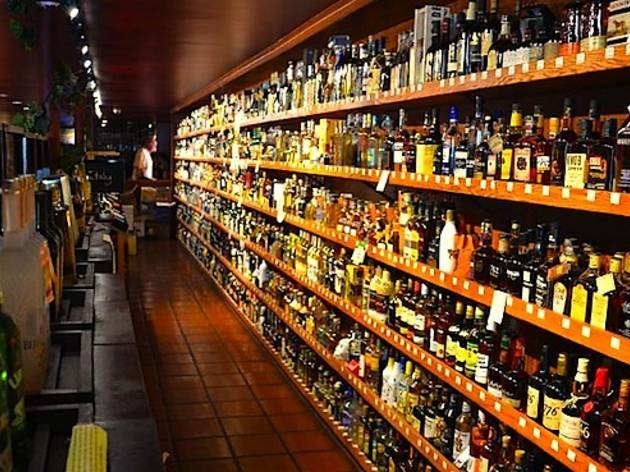 Beer enthusiasts should not miss the Ojai Beverage Company, a bar/restaurant/liquor store with craft beers on tap and a 20-beer tasting. It's like the Ojai version of Echo Park's Sunset Beer Company—if Sunset Beer was thrice it's size and served tasty bar food. You can find almost any local craft brew here, plus well-curated picks from across the country and beyond. 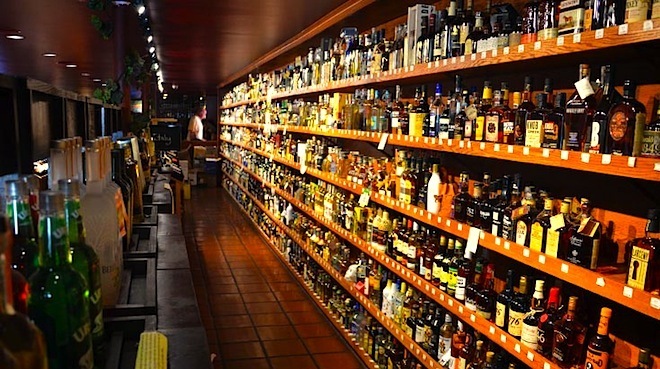 Wine tastings and liquor are also readily available, but beer is the main event, with very knowledgeable bartenders to give you the inside scoop on each brand. The food isn't too shabby either—although health nuts might want to steer clear: the Blow Your Mind Chicken (with buffalo sauce, gorgonzola and bacon bits) and blackened or truffle fries are some of the menu staples—washed down with tasty brew, of course. 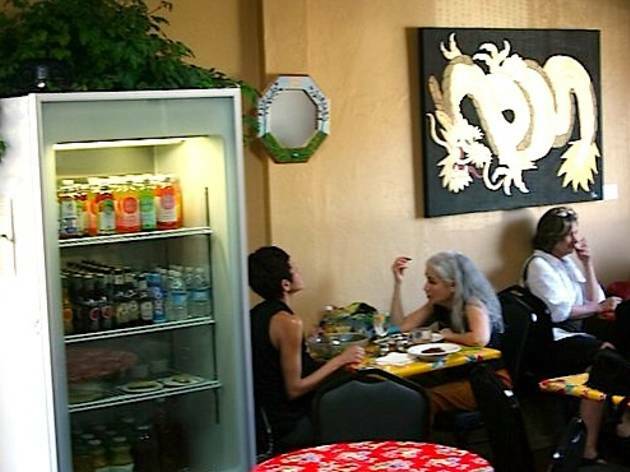 You don’t need to be anywhere close to vegan to enjoy the tasty, fresh food at Hip Vegan, a locals’ favorite all-vegan, all-organic joint on the quiet east end of Ojai’s shopping district. Try menu highlights like the Ultimate Burger (we recommend adding vegan cheese and avocado) and the Indonesian wrap, which comes with peanut-coconut dipping sauce. And don’t leave without knocking back a heavenly cacao date shake, simply a must-try. With a peaceful outdoor patio, welcoming staff and dog-friendly policy, Hip Vegan is a good option for herbivores and carnivores alike. 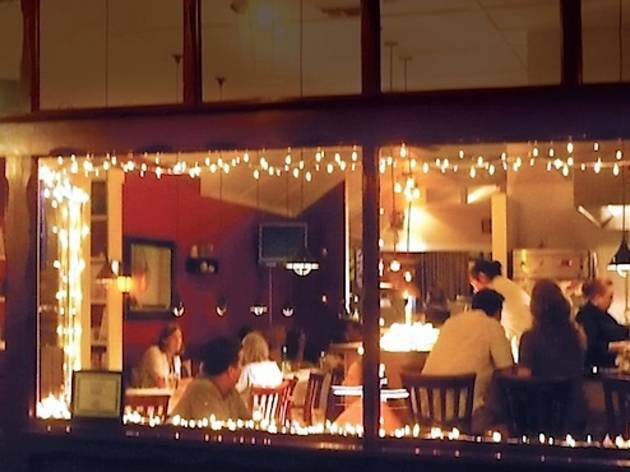 Feast Bistro is a restaurant many locals frequent for the cozy atmosphere and finer dining. Sit inside the intimate restaurant and watch your food prepared in the open kitchen, or get some fresh air on the romantic patio (which is pet-friendly). The bistro’s menu changes every month and offers up classic—if conventional—new American cuisine (the seafood and pasta are usually safe bets), and for better prices you can pop in for a slightly more affordable lunch. If you’re looking for a drink and some greasy pub food with a side of great atmosphere, look no further than the Village Jester. British owner Nigel makes you feel welcome as soon as you walk in, filling you up with pint after pint and generous portions of menu favorites like the stuffed bleu cheese burger with sweet potato fries. This local watering hole features fun programming most nights, including live music several times a week, a pub quiz and karaoke. 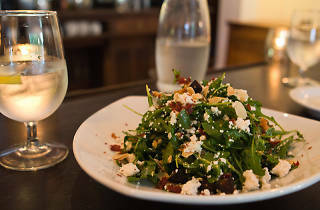 If you want to visit before catching a movie at next-door's tiny independent theater, the Jester's got you covered: Friday’s ‘date night’ deal gets you two entrees, a bottle of wine, two movie tickets, two popcorns and two drinks for $55. For more bargains, head over on ‘Cheap Wednesday’ for across-the-board discounts.